Last Sunday, President Alberto Ruiz and Business Agent Nick Berry led UPS members in an informational meeting, exploring the final UPS offer and clarifying members’ questions. Happy Friday! Remember, we hold membership meetings on the 2nd Wednesday of each month! Next meeting will be Wednesday September 12th at 8pm in our Vallejo office! 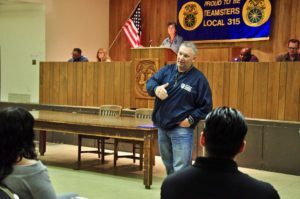 Teamsters Local 315 is in extended contract negotiations with Republic Services and is far from a settlement for workers in the Recycling Division at Richmond Sanitary Service. A strike is anticipated and we ask for community solidarity. 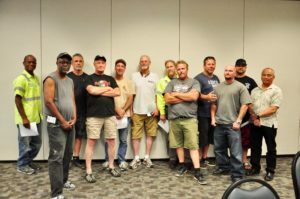 After holding a steward’s election for Allied Waste (Garbage) drivers in Pacheco, the members nominated Chris Mann to lead his co-workers. 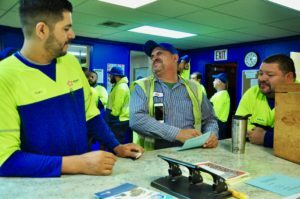 315 members from East Bay Sanitary meet their new Business Agent David Rodriguez before their shift. 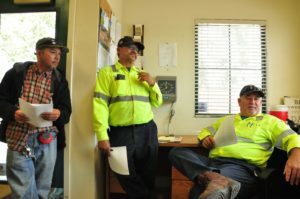 East Bay Sanitary is a family-owned garbage collection service that serves the city of El Cerrito. 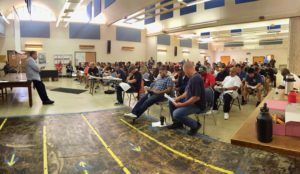 Congratulations to Cemex Teamsters in Fairfield who ratified their new contract last night! 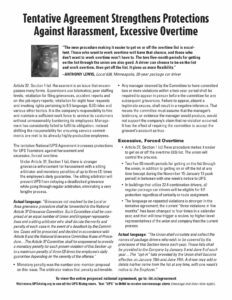 Business Agent Dustin Baumbach explained the new changes to the contract, including raising wages and adding paid sick leave, paid vacation, and employer contribution into Teamsters 401k. Macy’s in Concord vote down on their new contract offer for better pension and no cuts to their work breaks. 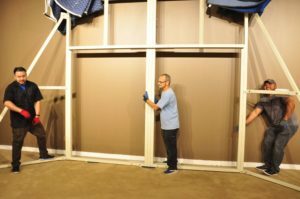 Members return back to work moving a carpet rack to make room for future executive offices to be built. 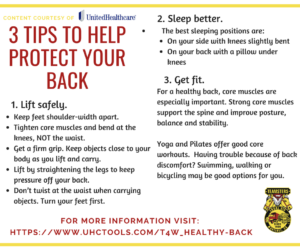 United Healthcare has our members’ backs. Here’s three tips on how to maintain a healthy back. 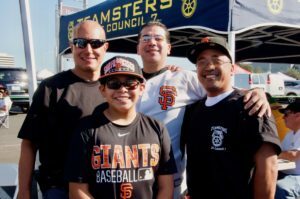 Thank you Joint Council 7 for hosting a very special Teamsters Day at the Park for all Northern California Teamsters and their families!